The classic rocket designs of the 1950's set the standard for Sci-fi rockets to come. 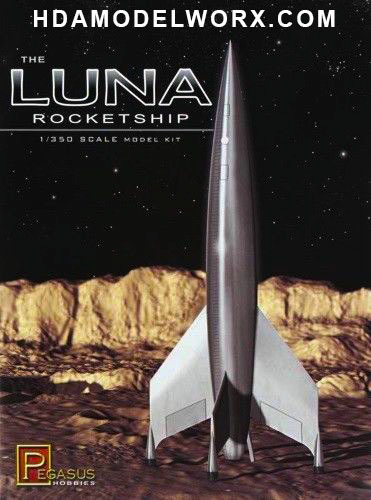 The rocketship "Luna" is a prefect example of the classic design aesthetic that has influenced movie rocket designs every since. All plastic model kit. Includes (1) Rocket Ship in 9 pieces.